Do you want to ‘experience’ the Outback? Most of us would have to answer yes to that one! Perhaps though you may not want to ‘do it tough!’ Instead, you may want to do it in style! A leisurely two day journey that we can all fit into our schedule, Adelaide Biplanes can cater for your trip. 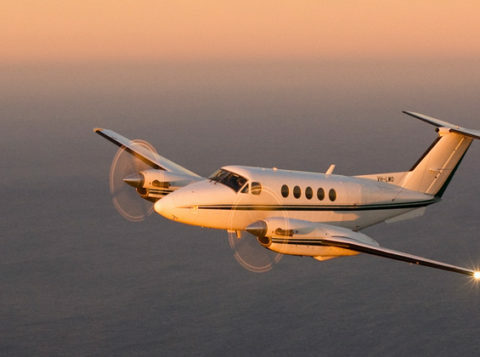 Cruise in comfort in one of our fleet of aeroplanes, either in the 10 seat Pilatus PC12 or Beech Craft Super King Air. We can help you fulfil your dream. You can customize your itinerary or trust our experience to show you the special places. 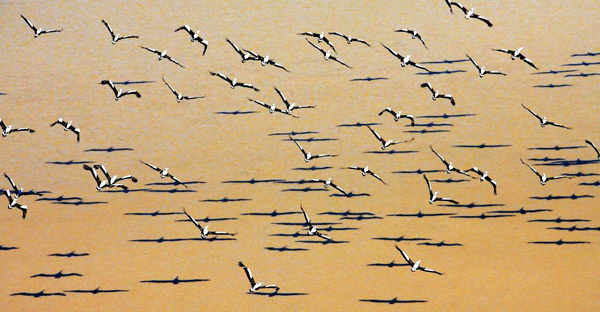 Here is a suggested itinerary for a Lake Eyre Outback experience – it can be flown and enjoyed in 2 days easily. We depart Aldinga Airfield and track for our first refuelling stop where there is time for a comfort stop. Once refuelled, we track the short distance to Wilpena Pound and have a look at the stunning Elder Range and Wilpena Pound from low level. From Wilpena Pound, we track over the spectacular Coongie Lake System to Innamincka, where there is time for morning tea or to have a quick beer in the pub and a walk around town. Departing Innamincka, we fly directly over the Burke and Wills Dig Tree then setting course for the Kidman Property of Durrie. Here we intercept the Diamantina River System and follow it at low level into Birdsville. Stay overnight at the iconic Birdsville Hotel. There is time to go to the Birdsville Bakery, visit the Museum and the Artesian Hot Water Spring. The following day we take to the air again and track to Alton Downs, Clifton Hills and Whip Well, following the Diamantina into Goyder Lagoon and then the Warburton River into Lake Eyre. The quantity of water here at the moment is awesome, and the colours are just spectacular! We track across the Lake to witness one of nature’s miracles and then land at William Creek for lunch. On departure from William Creek we head for our last refuelling stop before heading back to land at Aldinga Airfield. This trip takes approximately 7 to 8hrs flight time. Contact us on 08 8556 5404 for the Outback Experience.